I sort of made this up as I went along so measurements are approximate at best. If you make this, taste as you go, adjust as needed, make it your own. 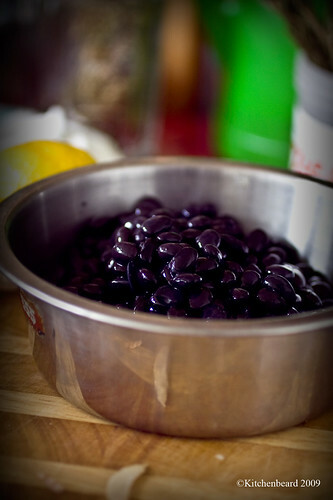 The night before, soak 2 cups dry black turtle beans in water. In the morning, drain beans and add to fresh water and boil for 1 hour. Drain beans again. Place in bowl of food processor and allow to cool. Meanwhile, preheat oven to 400. 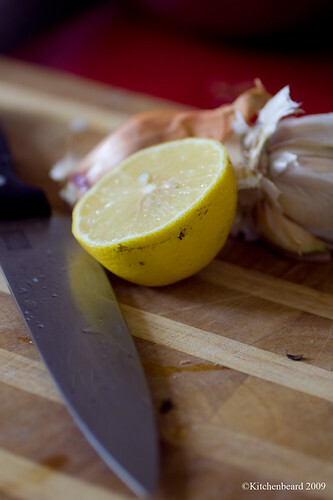 Peel and roughly chop 1 large shallot and 4 cloves of garlic. 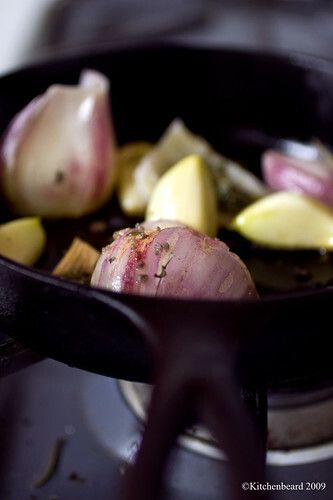 Add to small skillet with two sprigs of thyme and 1 sprig rosemary and a sprinkling of kosher salt. Lightly brown in olive oil. When just fragrant, wrap in foil (I wrapped the entire pan as matter of convenience but not everyone has a 4′ cast iron pan like I do, so do what you need to). 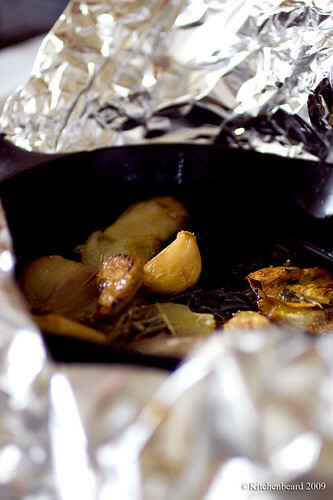 Roast for 20 minutes or until fully fragrant. 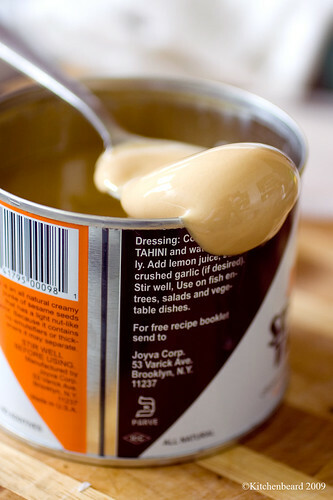 Add 1/4 cup fully mixed tahini paste to beans. Juice 1/2 lemon. Add approximately 1/4 cup scallions that have been roughly chopped. Puree till it forms a dry paste. 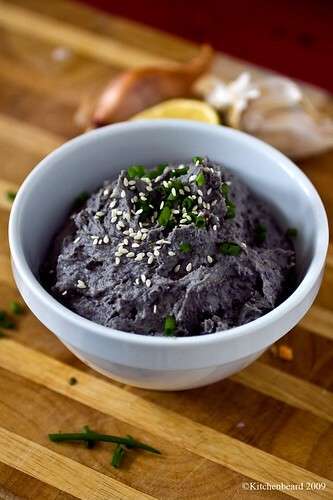 When the garlic and shallots are done, add to the food processor with two tablespoons of sesame oil and puree again until fully incorporated. Taste and adjust salt as needed. Goes great with toast and vegetables and on chicken. I’ve also used it as a garnish in plain old tomato soup.